We believe that God speaks His powerful Word and adopts us into His family, when we believe in Jesus Christ as our Lord and Savior. Therefore, we become members of The Church when we are baptized. Anyone of any age may be baptized and at the time they also become members of that congregation. 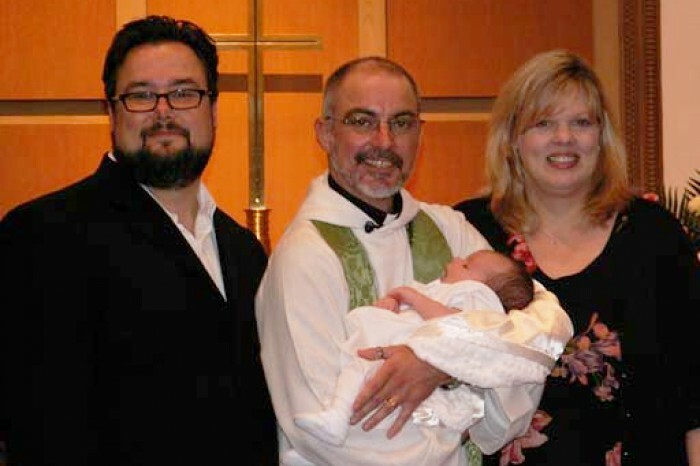 To schedule the baptism of an infant or young child, contact the Church office and talk with a Pastor. To schedule a youth or adult Baptism, contact the Church office to schedule a discussion with a Pastor about the meaning of Baptism. We’ll walk you through the details. Baptized members of congregations in The Lutheran Church-Missouri Synod or a church with whom the LCMS is in fellowship, may ask their congregation to transfer their membership to Calvary or have us request it for them. Contact the church office, and we’ll walk you through the details. Members of congregations from other denominations and those with no church affiliation may attend Adult Instruction Classes (usually two long Saturdays). These no-obligation classes, which teach our basic beliefs, may result in a person choosing to join our congregation and denomination through Confirmation/Profession of Faith. Contact the Church office for more information and to put your name on the waiting list for the next set of classes. If childcare is needed, we will seek to meet that need. Members of the Church who want to reactivate their membership may do so at Calvary by attending the classes. INTERESTED IN JOINING CALVARY LUTHERAN? Share a message with us.